This month's book is Wild by Cheryl Strayed. The KnitWits Reading Group will meet at Common Thread on September 17 at 6:30 pm to discuss Wild: From Lost to Found on the Pacific Crest Trail by Cheryl Strayed. Lori DeBoer's Writing Bookclub Meeting -- "Wild"
This bookclub will be reading and discussing Wild by Cheryl Strayed for August. We're celebrating World book Night by throwing a big bash! All day, givers all over the U.S. are handing out FREE books, to share their love of reading with their community. We have a ton of givers in the Bay Area, and we've recruited a few local indies to participate as well! Visit Tampa Theatre, The Rooster and the Till, Cleanse Apothecary, Buddy Brew, Duckweed Urban Market, and City Bike Tampa to snag a WBN14 title, and then come to Inkwood at 7 for a party! Food, beer and wine til 9 pm. Tampa Theatre will have 12 Years a Slave at their box office on World book Night! Cleanse Apothecary will have Tales of the City by Armistead Maupin Rooster & the Till has a box of Kitchen Confidential by Anthony Bourdain Buddy Brew Coffee will have Code name Verity by Elizabeth Wein Duckweed Urban Market has Florida favorite, Hoot By Carl Hiaasen AND City Bike Tampa will have a box of Wild, by Cheryl Strayed. Join Whatcom READS! in welcoming award-winning author Cheryl Strayed to Whatcom County as she is interviewed about this year's community read selection Wild: From Lost to Found on the Pacific Crest Trail. Suzanne Paola, Humanities professor at WWU, will be interviewing Cheryl. Everyone welcome! Event is free - no tickets required. Whatcom READS! is a community-wide reading and discussion program intended to encourage all Whatcom County residents to read the same book and create a county-wide book club experience. For more information visit WhatcomReads.org. At twenty-two, Cheryl Strayed thought she had lost everything. In the wake of her mother’s death, her family scattered and her own marriage was soon destroyed. Four years later, with nothing more to lose, she made the most impulsive decision of her life. With no experience or training, driven only by blind will, she would hike more than a thousand miles of the Pacific Crest Trail from the Mojave Desert through California and Oregon to Washington State, and she would do it alone. Told with suspense and style, sparkling with warmth and humor, Wild powerfully captures the terrors and pleasures of one young woman forging ahead against all odds on a journey that maddened, strengthened, and ultimately healed her. Join Whatcom READS! in welcoming award-winning author Cheryl Strayed to Whatcom County as she speaks about this year's community read selection, Wild, at the Mount Baker Theatre. Everyone is welcome! Village Books will have Cheryl Strayed’s books available for purchase at the event, and Strayed will sign books after speaking. Whatcom READS! is a community-wide reading and discussion program intended to encourage all Whatcom County residents to read the same book and create a county-wide book club experience. For more information visit WhatcomReads.org. Wild: From Lost to Found on the Pacific Crest Trail by Cheryl Strayed The inspiring story of Strayed's solo journey on the Pacific Crest Trail snags you from the beginning and keeps you engaged the whole way through. It was a bold move considering that she had no backpacking experience prior to her trip, but in the years following her mother's death and the subsequent dissolution of her family, Strayed was no stranger to bold moves. The inspiring story of Strayed's solo journey on the Pacific Crest Trail snags you from the beginning and keeps you engaged the whole way through. It was a bold move considering that she had no backpacking experience prior to her trip, but in the years following her mother's death and the subsequent dissolution of her family, Strayed was no stranger to bold moves. The SAN FRANCISCO TRAVEL BOOK CLUB and LECTURE SERIES will discuss Wild: From Lost to Found on the Pacific Crest Trail by Chreyl Strayed. 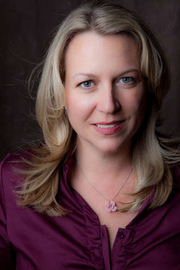 Cheryl Strayed is a LibraryThing Author, an author who lists their personal library on LibraryThing. Cheryl Strayed's book Going Om: Real-Life Stories On and off the Yoga Mat was available from LibraryThing Member Giveaway. Cheryl Strayed is currently considered a "single author." If one or more works are by a distinct, homonymous authors, go ahead and split the author. Cheryl Strayed is composed of 2 names. You can examine and separate out names.